To date, more than 1400 people have visited the budget page on engagestjohns.ca, with 81 commenting on the site. After tomorrow night, the page will close for comments so that staff can begin the analysis, which Council will consider as part of the budget planning process. On Tuesday, Oct. 30, Council will hold the last of five in-person budget engagement sessions, beginning at 7 p.m. in the Foran Greene Room at City Hall, 10 New Gower Street. The public are welcome to attend. Engagement with the business community continues, with the City-Business Round Table scheduled for early November. Members of the public are encouraged to visit engagestjohns.ca before midnight, October 30 to contribute to the discussion online or to attend the in-person session Tuesday evening. 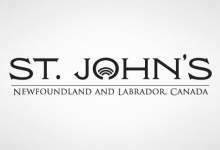 Comments can also be sent by email to engage@stjohns.ca, through 311 (754-CITY) or by contacting any member of Council.